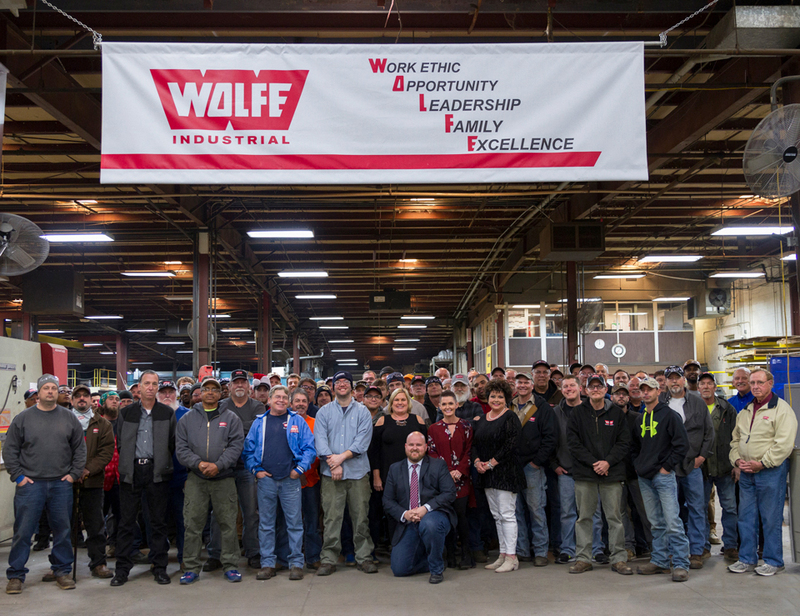 For three generations Wolfe Industrial has specialized in the design, fabrication and installation of various types of systems, equipment and components required in the production processes of major manufacturers all across the USA. This diversity of services gives Wolfe the capability to handle a variety of turnkey projects related to material handling, air handling, custom conveyors, structural, piping, and safety protection equipment. Since 1979 we have been working closely with industry leaders to find ways to improve the efficiency of their production systems. The knowledge and experience gained through this collaborative effort has proved the value of listening and focusing on each customer’s specific needs. We are focused on getting the details right, the first time. At Wolfe Industrial, we see the forest AND the trees - we pride ourselves in understanding each and every equipment detail and how it fits into the entire systems picture for your company. Being able to capitalize on the benefits of seeing the big picture has created a trust in Wolfe Industrial as the contractor of choice for many Fortune 500 Companies. We ask that you allow us the opportunity to earn your trust by putting our experience to work for you.